The Enforcement Directorate on Friday slapped a show cause notice on Sahara group for alleged violations of foreign exchange laws to the tune of Rs 3,600 crore (Rs 36 billion) in connection with the purchase of a luxury property in London few years back. 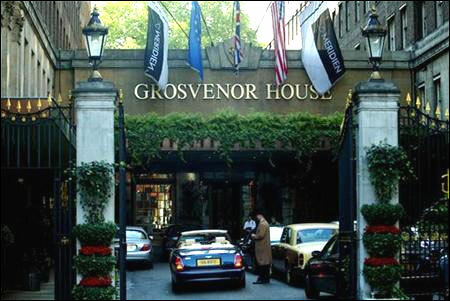 Official sources said the agency issued the notice after about two-year-long investigation in the case which pertain to the purchase of Grosvernor House hotel in London, a luxury property, by transfer of funds from India by the group in 2010. The agency's probe, under Foreign Exchange Management Act (FEMA), has charged Sahara for not taking the legal route of obtaining the RBI clearance for transfer of funds to the tune of over Rs 3,600 crore in striking this deal. "The group made an overseas direct investment in contravention to the existing RBI rules that time. The RBI referred the case to ED and the agency has now issued final show cause notices to them," sources said. Queries sent by PTI in this regard to Sahara remained unanswered, however, sources said the group is yet to receive any notices. The ED probe found that the group chose to make this investment and channelise funds through the automatic route of funds transfer but Sahara allegedly did not obtain "required RBI permissions" in this regard. The agency said that the funds sent abroad for purchasing this costly asset was sent through Sahara India Real Estate Corporation Limited and Sahara Housing Investment Corporation Limited and then to its overseas subsidiary which was violation of FEMA and RBI rules. Trouble has been mounting for the beleaguered group as the ED in November last year had registered a money laundering case against Sahara in connection with non-payment of crores of rupees to depositors as probed by capital markets regulator SEBI.